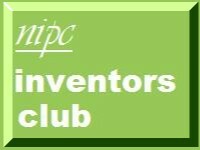 NIPC Inventors Club: Playback Rewards: fancy getting paid to watch telly! Playback Rewards: fancy getting paid to watch telly! "Targeted advertising is the holy grail of the TV and advertising industries. In the US, experts forecast that by 2015 the annual revenues from targeted advertising will exceed $11 billion. But in the UK and Europe it has stalled because subscription-based services and internet-based advertising sales houses know so much about their customers that it would be difficult to avoid claims of abuse of privacy and data protection rights if they targeted them with tailored advertisements. PBR’s technology completely avoids all privacy and data protection issues." The technology to which the home page refers are inventions that identify each viewer's interests but does not disclose his identity to the company or any other person. The inventor is my very good friend Alistair Kelman who is chief executive officer of Playback Holdings. Other heavyweights behind the project include David Elstein, former SEO of Channel 5 who will be the company's chair, patent agent Vivien Irish, and, as you can see from the above video, Stephen Fry, who has invested in Playback Holdings. Playback Holdings is raising funds for further development by crowd funding, You can find more information about the company's offer by joining Seedrs - the first British seed funder to obtain FSA authorization. The project has already attracted a lot of interest in the blogosphere. Neil Infield, manager of the Business & IP Centre of the British Library, has called Playback Rewards a success story in the making. Here are some of Alistair's posts on the Cisco British Innovation Gateway Awards blog. For further information, call me on on 0800 862 0055 or contact me through my contact form, Facebook, Linkedin, Xing or twitter.